I know Goodreads is controversial these days, but I’ve been an author there for years — and the last giveaway I did through them was really fun. Hopefully, this one will be, too. 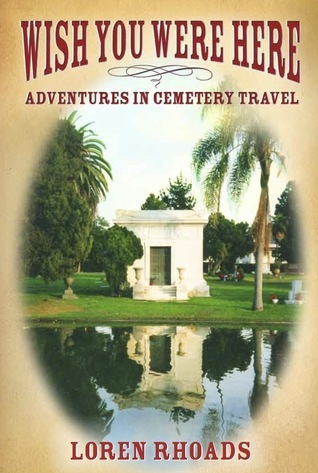 You should be able to click on through their widget above and enter to win your very own copy of my book of cemetery essays. This entry was posted in Wish You Were Here and tagged book giveaway, goodreads. Bookmark the permalink. This is a cool travel writing book. Nonfiction for those who might wonder. Fascinating stories almost lost to history about the people commemorated in various cemeteries around the world. And stories about how these places came to be.